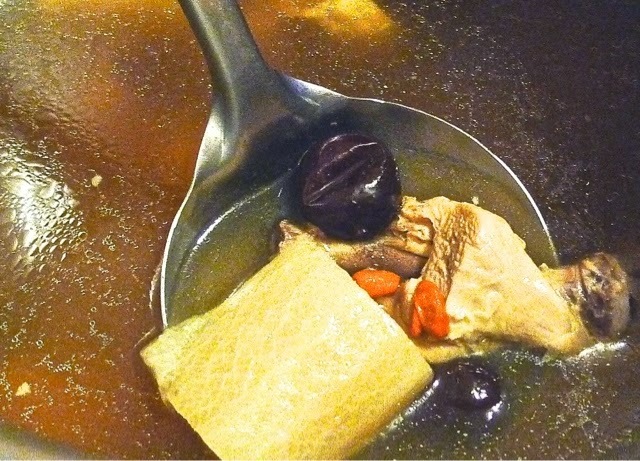 Check out How to Cook Detoxifying Chinese Radish Soup by Huang Kitchen on Snapguide. This is one of the many favourite soups my family enjoys. Commonly boiled with chicken or pork ribs, my family’s version always comes with a handful of lightly crushed white peppercorn. 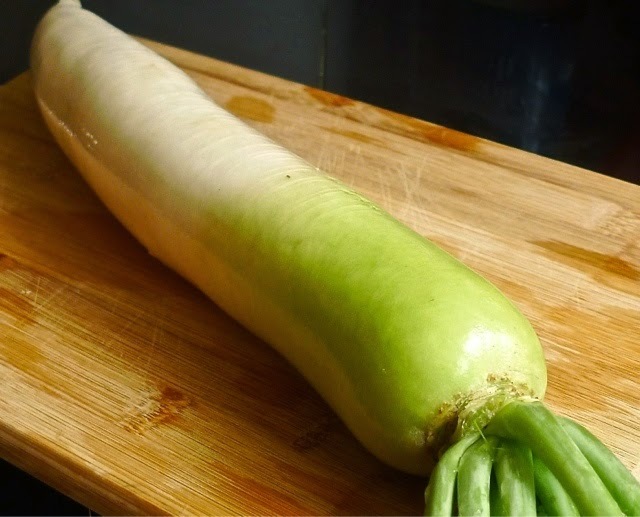 This is to add a little heat to balance the cooling effect white radish possess. Also apparently radish soup helps in cleansing and detoxifying our digestive system, said my mum everytime we have this soup at home. With a touch of sweetness from the red dates and the extra kick and spice from the peppercorns, this soup is indeed a refreshing, comforting, and hearty soup everyone enjoys every now and then. Low in calories with virtually no cholesterol, these chunks of radish make for a very good dietary option for many people too. 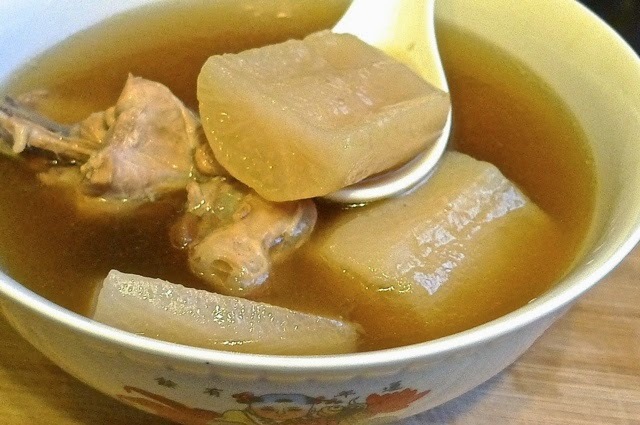 White Radish Soup is known to help in cleansing and detoxifying our digestive system. 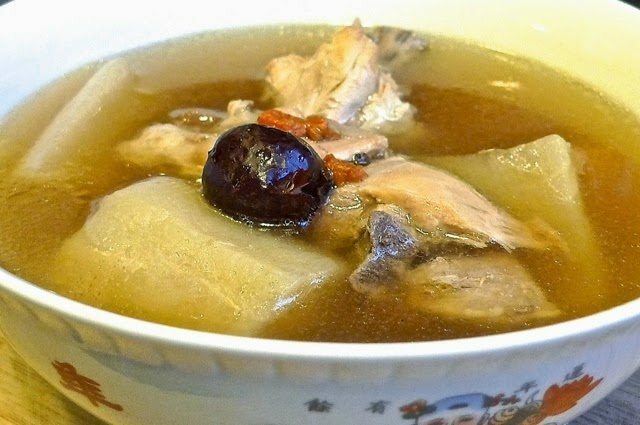 With a touch of sweetness from the red dates and the extra kick and spice from the peppercorns, this soup is indeed a refreshing, comforting, and hearty soup everyone enjoys every now and then. Low in calories with virtually no cholesterol, these chunks of radish make for a very good dietary option for many people too. 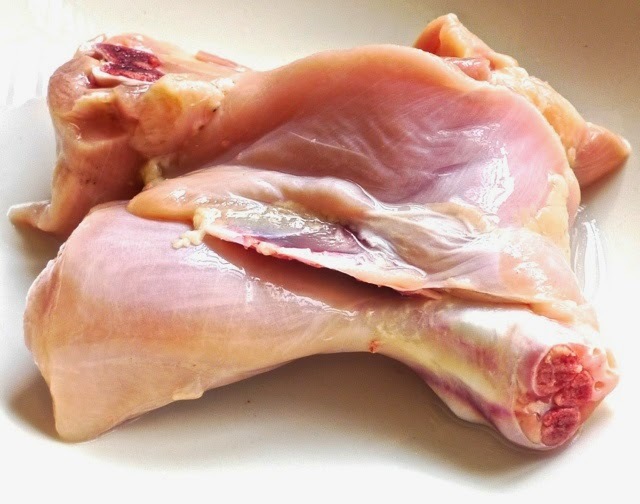 Wash the chicken, trimming away excess fat and then chop into smaller pieces. Blanch the chicken pieces in a pot of boiling water to remove the scum. Set the chicken pieces aside. Heat up enough water for the soup, about 2 1/2 bowls. When water is boiling, add the chunks of radish, chicken pieces, red dates and lightly crushed whole white peppercorns. Bring to a rapid boil. Leave to boil for about 15 minutes. Cover, turn the heat down to low and let simmer for 1 hour. Add kei qi and continue to simmer for another 1 hour or till soup reduced to 1 1/2 bowls water. 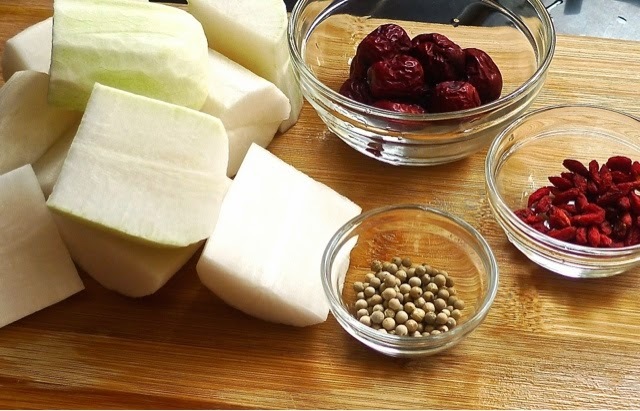 Cut the radish into large chunks, some red dates (soaked to soften), some kei qi(soaked in cold water) and whole white peppercorns. 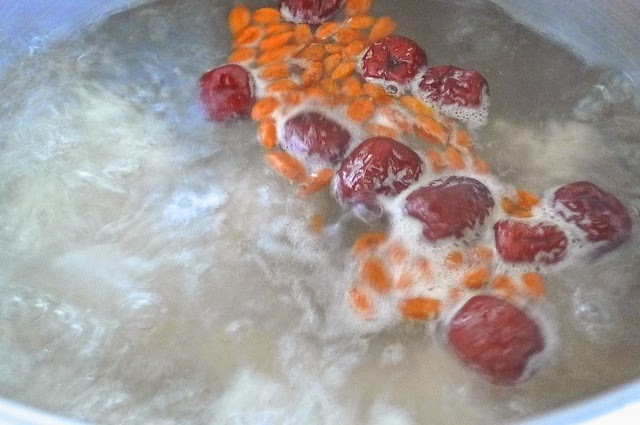 Blanch the chicken pieces in boiling water to remove scum. This is to ensure a clear soup. 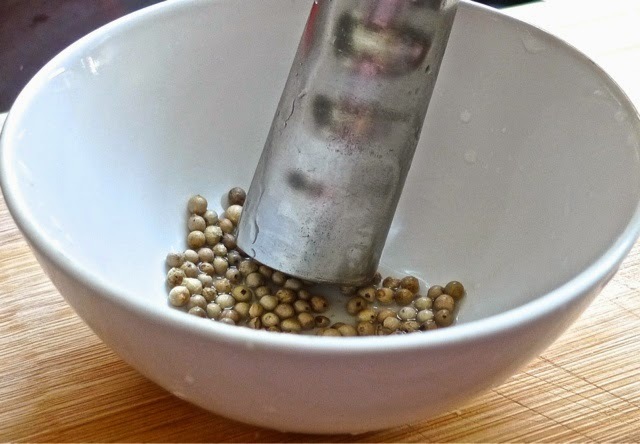 Use the back of a knife to lightly crush the white peppercorns. Put all ingredients in to boil. Simmer for 2 hours and soup is ready! Serve the soup hot. Low in calories with virtually no cholesterol, these chunks of radish make for a very good dietary option for many people too.